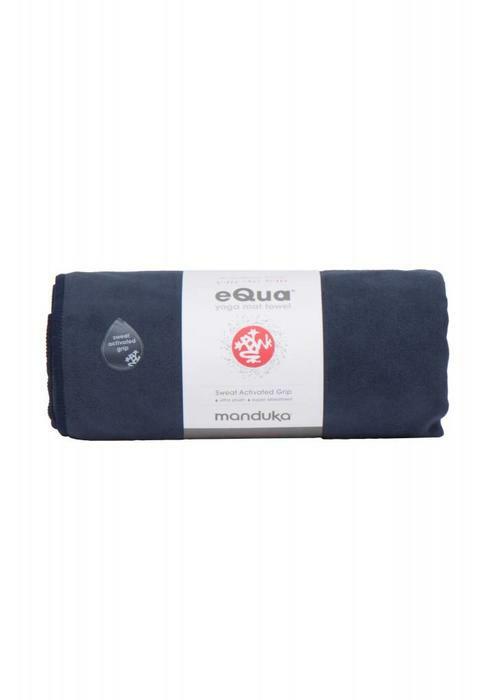 Manduka eQua - a towel for life - is the new generation of multi-purpose towels: very lightweight, soft, durable, super absorbent and quick-drying. 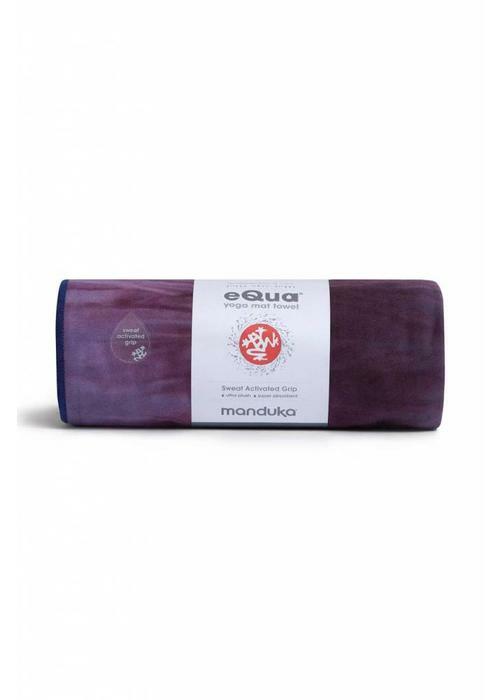 The eQua yoga towel performs better than other cotton or polyester towels, and is super versatile. 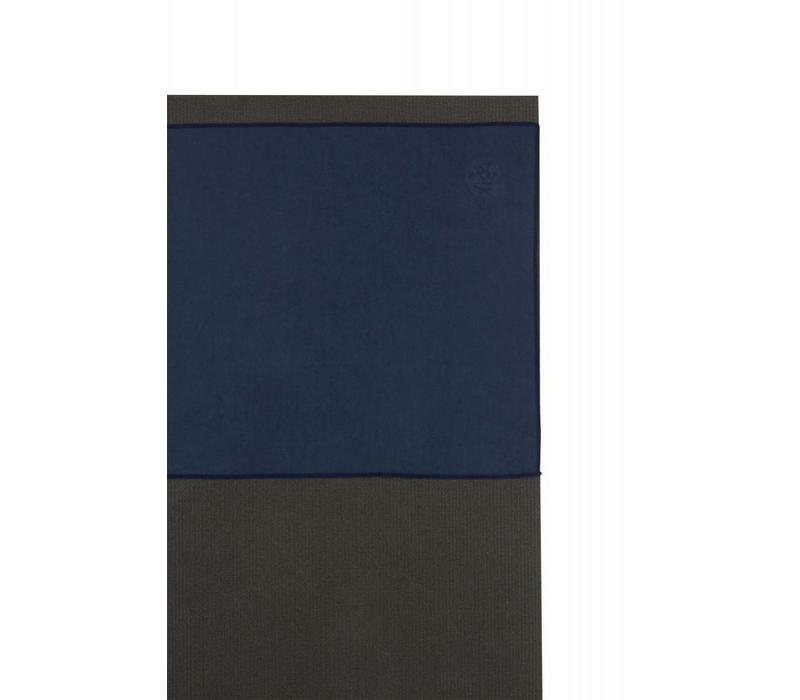 Use them on your yoga mat, in the gym, or on during your travels. 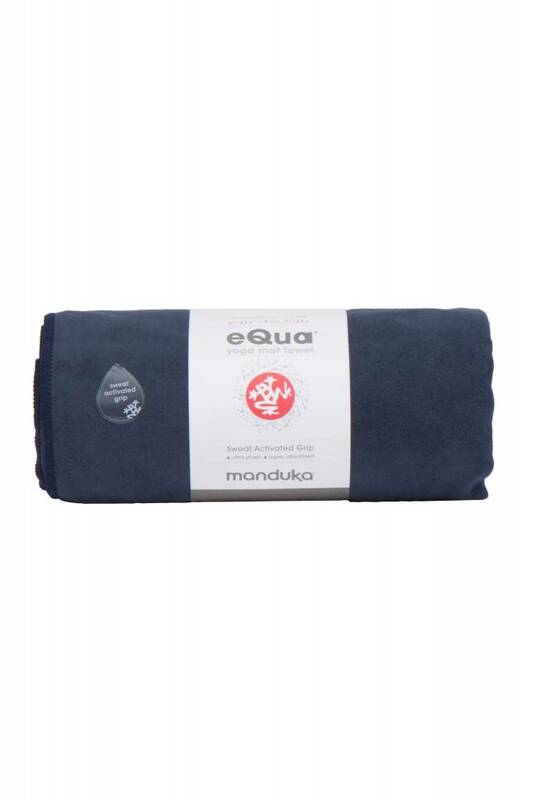 The eQua towel has moisture-activated grip and becomes grippier as it gets wetter. 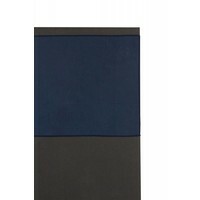 This is ideal for people with clammy hands that will slip away quickly, or during Bikram or hot yoga. 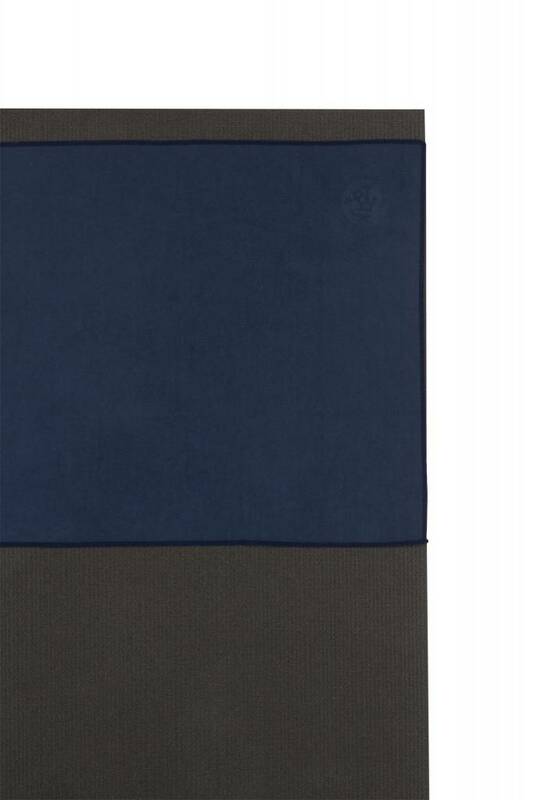 This smaller size is useful to pat yourself dry during the yoga class, or to put on the top of your yoga mat so your hands can find some extra grip. 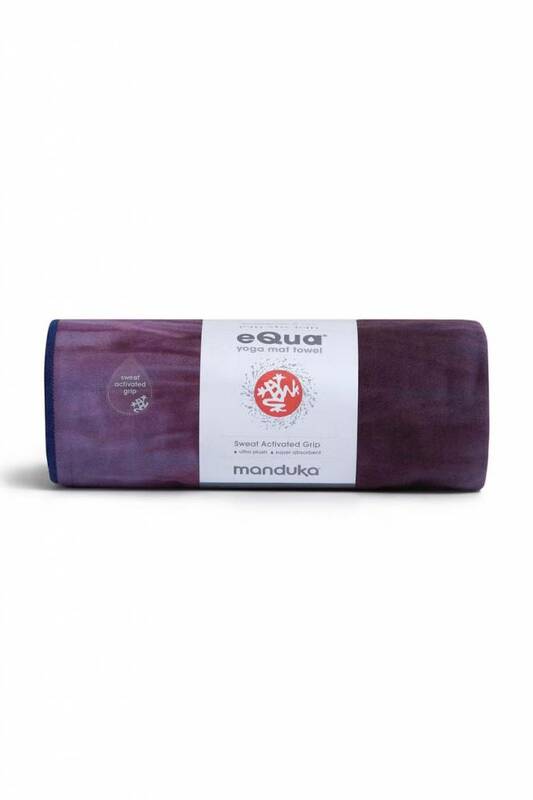 To increase the grippy-ness of the eQua towel, spray a little with water before use. Wash in the washing machine with the same colors, without fabric softener. Let it air dry. Wash the towel before the first use.